Color, light purplish blue. Corolla, papilionaceous. Flowers, about 1/2 inch long, delicate and pretty. 4 or 5 together. 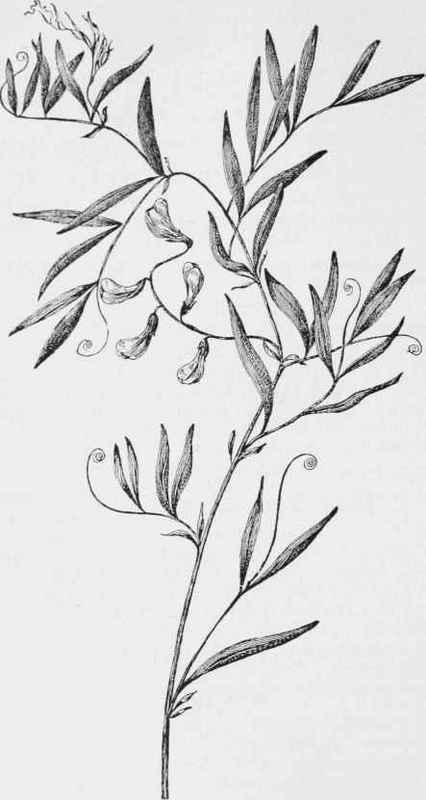 Leaves, compound, with 2 to 4 pairs of long and narrow leaflets, all with long stipules, acute at both ends. Tendrils found.on some, but not all of the leaves. Stem, weak and trailing, 1 to 3 feet long. July.